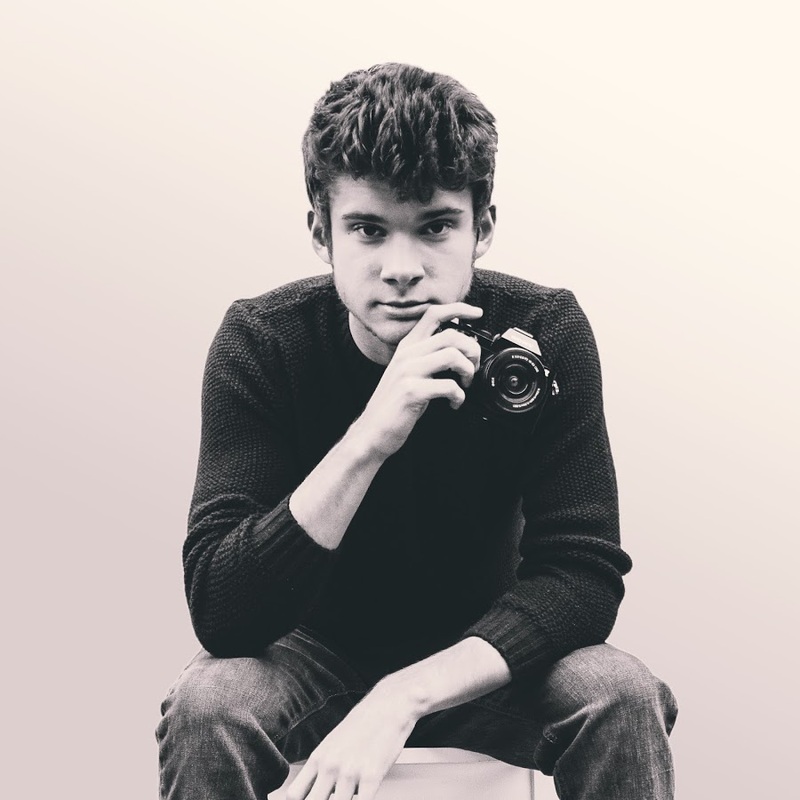 Landscape photographer and social media sensation Will Lamerton is an expert on Dartmoor’s most Instagrammable destinations. Here, he reveals his favourite Dartmoor photographic locations. Dartmoor, it has a fantastic diversity of landscapes, wildlife and rich history. With jagged rocky tors, forests, lakes and big views, this renowned corner of the U.K. has something to offer for everyone. With plenty of amazing hidden gems to choose from, read on to see my top 10 favourite landscapes on Dartmoor! This granite outcrop, situated impressively on the edge of the West Okemont Valley is one of Dartmoor's best-kept gems. A visit to Black Tor at sunset is the most impressive time to make the hike, with glorious basking views of the valley lit up by the golden light - look out for Sourton Tor to the North, the slope of Yes Tor to the East and Branscombe Loaf to the West, an outcrop shrouded in stories of the Devil dating back to the Middle Ages. The hike to Black Tor is fairly laid back - around 1.5 miles. Parking at the nearby Meldon Reservoir is your best bet and taking the well-marked footpath up Longstone Hill. After reaching the top of here, you'll be able to see two of the three granite outcrops that make up Black Tor with a rough trail leading to them. Make sure to wear suitable footwear as although there is a path, it can be boggy. After your walk, if you get peckish, the small Dartmoor town of Okehampton is a short 5-minute drive from Meldon Reservoir with great options for refreshment. Whilst you're visiting Black Tor, you may notice to the West, a small woodland in the valley below Corn Ridge with a river running through it. This place is called Black-a-Tor Copse, an incredible example of a high altitude Oak woodland. Like its famous cousin, Wistman's Wood, also situated on Dartmoor, Black-a-Tor Copse is made up of the same amazing twisted Oaks but this time, without the tourists. With a spread of Granite boulders lining the floor and rare lichens draping from the trees - this place is a pure fairytale. Visiting any time of the year is special, mid-April to August you'll see moorland birds but it's most magical to visit in the morning mist, the trees standing tall and eerie in the still air. Just be sure you know how to navigate if you go there in those conditions. Located right on the Northern border of Dartmoor, dramatically elevated above anything for miles, Sourton Tors really does have some views to show off. I love this place for how easy it is to get to, giving an amazing taste of what the national park is like but without having to yomp miles off of the beaten track. Pulling off of the A30, the main car park is to the left over a cattle grid a further 2-minute drive on the road towards Tavistock. From here, visitors will follow a short 30-minute trail to the top. 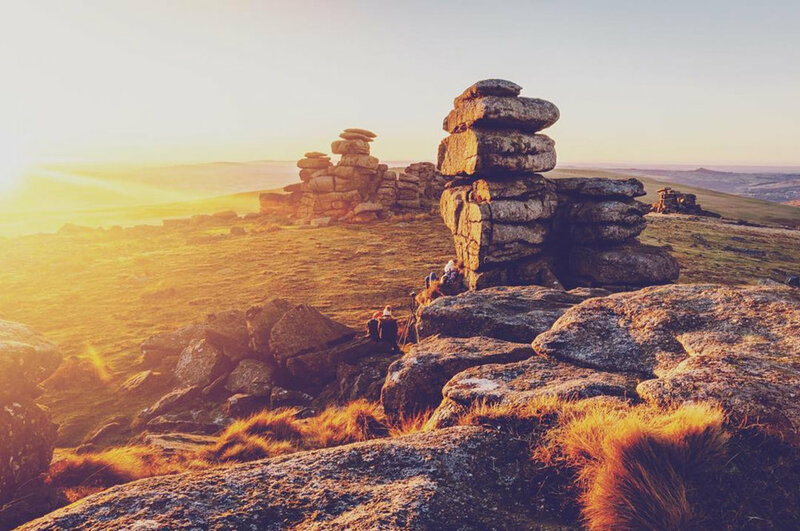 From the peak, you'll have fantastic panoramic views into North Devon and some of Dartmoor's highest and most spectacular tors to the South, including Black Tor! The location itself is also of great interest, as you ascend the tor from the car park, you may notice some long, tall, grassy mounds that appear to be man-made. What you're looking at is the remains of 'Sourton Hill Ice Factory', a patch of land constructed in the late 1800s for the purpose of collecting naturally produced ice to help food storage in the local area. Also, keep an eye out for Dartmoor ponies on the ascent, these gentle creatures love grazing on the hillside and due to the location, are quite friendly around humans - just don't feed them! Situated as a sharp peak on the edge of the fantastic Tavy Cleave Valley, Ger tor is a location for the more experienced hikers. There is no obvious path, so waterproofs and walking boots are advised as the journey can be boggy and tough terrain depending on the time of year. Don't let this put you off though, as long as you're prepared, the views from Ger Tor are out of this world. From the top, you can see right into the valley with a distinct feeling of remoteness as you look around. For me, Ger Tor is the visual definition of Dartmoor. Getting there, despite the lack of trail, isn't too hard. There are multiple ways to the top, but the easiest would be starting in the Lanehead, a remote car park near Nattor Farm. From here, Ger Tor is around a 1km off-road hike crossing Mine Leat via a footbridge at the base of your first stop, Nat Tor - a place to pause and admire the view before moving on. To reach your destination continue following the contour of the ridgeline along Nattor Down with Ger Tor being next peak you'll come to. Once you've finished your walk, the Fox and Hounds Pub not too far a drive from the car park is a great walkers establishment for good, reasonably priced food. There's even a campsite attached giving you a great place to stay if you want to explore some of the other surrounding moorlands. The elusive Venford Falls, this place is somewhat of a local secret. Not marked on maps and without any paths going to it, this beautiful twin waterfall is well hidden. I'm not going to be the one to spill the mystery location of Venford Falls, but starting near the waterworks of Venford Reservoir is a good place to begin your search. These cascades are well worth finding, but a pair of walking boots and being prepared for moderately sharp inclines is necessary. The best time to visit would be in the Spring and Summer when the surrounding woodland is in full bloom and colours. The moorland is fairly baron around here, but the fantastic wooded Dart Valley is very close and the town of Ashburton a short 15-minute journey by car which will have all of the amenities you need. Sat a stone's throw from the beautiful Burrator reservoir, Leather Tor is a stunning and remote, yet easy to reach granite outcrop. If you follow a sat-nav, your car will be guided to a small car park right at the foot, this leaves the peak of Leather Tor only a 15-minute hike away. I love this place as there are so many gorgeous views around. From the top, look back towards where you parked your car and you'll see the glistening waters of Burrator reservoir, not far South, this looks fantastic in photos. Look to the West and there are some beautiful woodland areas immediately in the valley with some more classic Dartmoor tors in the distance and directly behind Leather Tor you'll find Sharpitor, another peak worth the short 1/2km walk to. Here you'll find lots of hut circles and ancient settlement areas back when Dartmoor was largely inhabited if history is your thing. Leather Tor is great for families too, with the walk to the top a very short distance and Burrator, renowned for its cycle tracks, there's no better a place to go for some outdoor activity, nice views and plenty of spots for picnics. This is one of Dartmoor's more 'poster' tors. Great Staple is situated 1km from the main road to Princetown from Tavistock and is well know for it's unique and instantly recognisable 'steeples' made up of layered granite. You might encounter some other visitors up there walk but the offroad journey without much of a path tends to keep visitors low. Don't let the lack of trail put you off though, this is a fairly easy place to get to with a steady incline to the chain of tors that flank the west side of the Walkham Valley with panoramic views from the top. This chain is an excellent place to explore on Sunday afternoon, with places such Roos Tor and Great Mis Tor easily reachable after you've finished photographing the steeples of Great Staple. Carrying on with the theme of Sunday afternoon walks, you can finish your exploration of the Walkham Valley peaks by heading into Tavistock, a historic and often bustling market town for a well-earned bite to eat and only 10 minutes away from the car park at the beginning of the walk. If towns aren't your thing, Princetown is a further 15 minutes down the road in the opposite direction to Tavistock and is well signposted. This remote village is well off of the main road and is steeped in history with old Tin Workings and Quarries just outside of the village, the famous prison and Dartmoor National Park Visitor Centre here, you can also learn all about Dartmoor life through history. An old favourite spot of mine. Brat Tor is an iconic hill on the A386 towards Tavistock coming from the North Moors. This outcrop is instantly recognisable thanks to the granite statue known as Widgery Cross at the very peak erected by William Widgery to commemorate the Golden Jubilee of Queen Victoria in 1887. From the top, there are more panoramic views across the Eastern section of Dartmoor and towards Cornwall if you look off of the park. With Brat Tor standing abruptly higher than most of the terrain around, I highly recommend visiting at sunset as surrounding views light up golden and the air becomes more still - it really does give you an 'on top of the world' feeling. If sunset isn't an option, setting off for an afternoon or day trip is beautiful too, this gives you time to explore and appreciate the surrounding places such as Hare Tor, Arms Tor, Doe Tor and as mentioned above, Ger Tor and the Tavy Cleave. All these places are within 1-hour walk or less to each to each other. To get to Brat Tor is fairly easy, as you're driving down the A386 towards Tavistock, look for the Fox and Hounds pub at the side of the road, pull in here and you can park for free. Heading behind the pub you'll see a well-trodden gravel footpath that passes the campsite also at the pub and walks towards the moors - you can actually see Brat Tor from where you have parked. This footpath leads directly to the peaks but doesn't stay gravel for long, so walking boots are still advised. The only advisory for this place is aware Willsworthy Firing Range is very close to the tor and has many of the other surrounding tors stated above within its borders, so be aware if you want to explore them that they're not firing - you can find times online. Officially known as the church of St Michael de Rupe, this fairy tale building is located 1100 feet on of Brent Tor. Founded in 1130, the church is fully working as one of the highest altitude places of worship in England and has been for almost 900 years. This place is beautiful and worth a visit all year round, whether that be in basking sunset, winter frost or morning mist. Being just a short 10 minute walk from the car park, Brent Tor is a unique photo opportunity that is accessible to many, with masses of history behind it if that's what you love, big views and the ability to actually go inside this tiny church to explore for free, it's a must visit place on Dartmoor! Nearby is the famous National Trust owned Lydford Gorge that has amazing walks and the White Lady Waterfall at its centre. The village of Lydford is also only a small drive from Brent Tor too which has a castle and a peaceful local pub opposite fittingly called 'The Castle Inn' which is a great place to stop for a quiet pint after a day exploring. This place deserves a special mention at the end because it is the highest point on Dartmoor and the South of England below the Brecon Beacons making the statement, 'I was standing higher than anyone in the South of England' true for the most part! This, like Ger Tor, is a journey only advised if you're properly equipped as it is mostly off the beaten track and a steep climb. You can get to High Willhays in multiple ways, however, to get the best out of this place I would highly recommend beginning on the Dartmoor Ringroad past Okehampton Army Camp. The walk is longer, around 4km as a round trip across rougher terrain, but if you're a keen adventurer and want to see some amazing views I highly recommend this route. Passing the Army camp over a cattle grid, take the right road that's immediately after. Driving down here you'll see two tors that you're heading for, both peaks you'll be visiting on this route. As you drive, there are quite a few pull-ins that you're allowed to park in so stopping in one close to the tors is the perfect place to begin. From here, follow the chain of tors to your right, these will be West Mill Tor, Yes Tor and finally, High Willhays - all in that order and the next one visible from the previous. This is just a rough guide, so I advise you follow an OS map and ensure you check the weather before leaving! 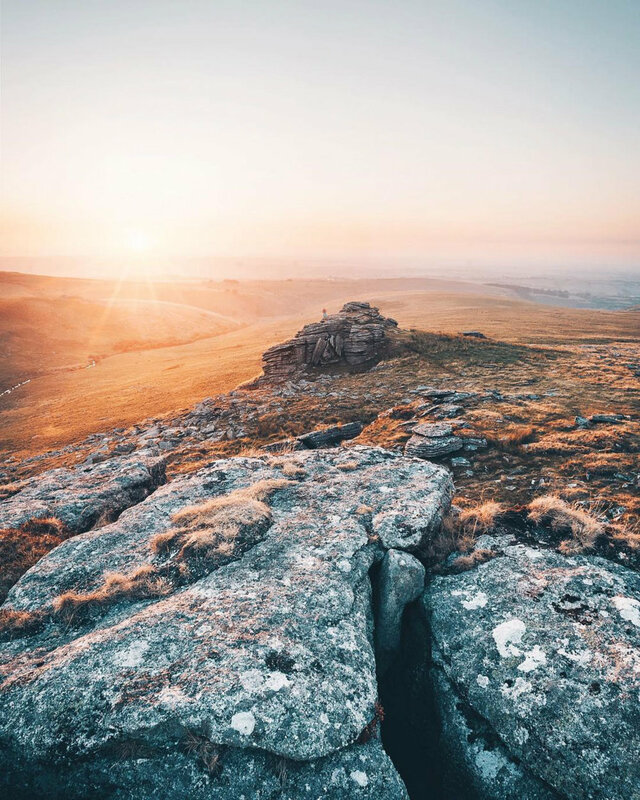 Pick a clear day and you'll walking across Dartmoor's Highest Peaks with panoramic views across Devon and visiting High Willhays which the summit is high enough to be classed as a mountain! Will Lamerton is a full-time landscape and lifestyle photographer based in Dartmoor National Park, Devon. With over 30,000 followers on Instagram, he's been sharing his imagery for over three years. Working with brands internationally, Will has explored Dartmoor inside out and can offer first-hand knowledge and experience photographing this extraordinary corner of the UK. 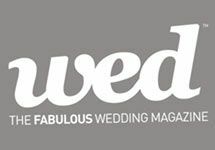 A famous crafts centre and Dartmoor’s only whisky distillery - here’s our guide to the best things to do in Bovey Tracey. Ponies and prisons, weather and wildlife - our guide to Dartmoor National Park tells you everything you need to know. 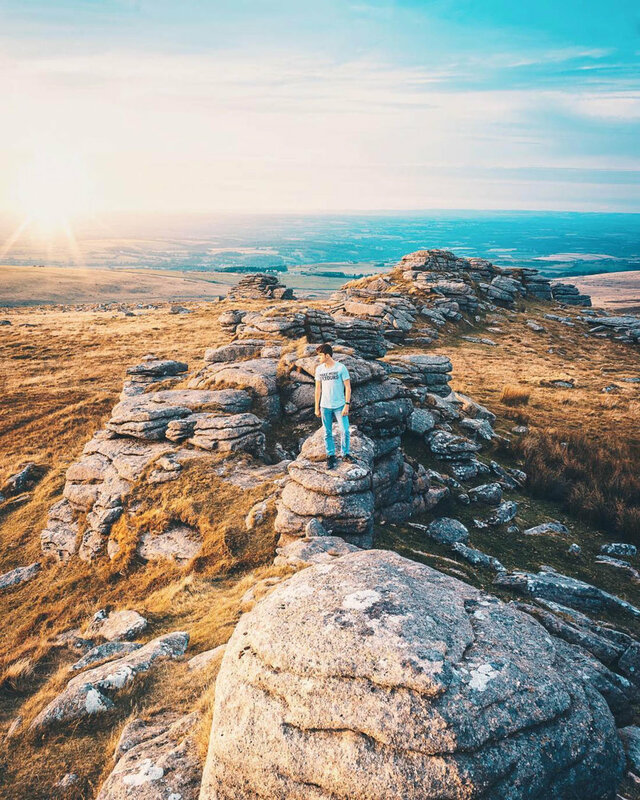 Landscape photographer and social media sensation Will Lamerton reveals Dartmoor’s most Instagrammable destinations.